We will be in touch shortly. Thank you! In the meantime, if you have any photos and measurements of your current kitchen or house plans, we would greatly appreciate it if you send this to our email at “info@qndesigns.com.au” so we can get a better idea of your needs. We understand that sometimes a renovation can be confusing or intimidating. 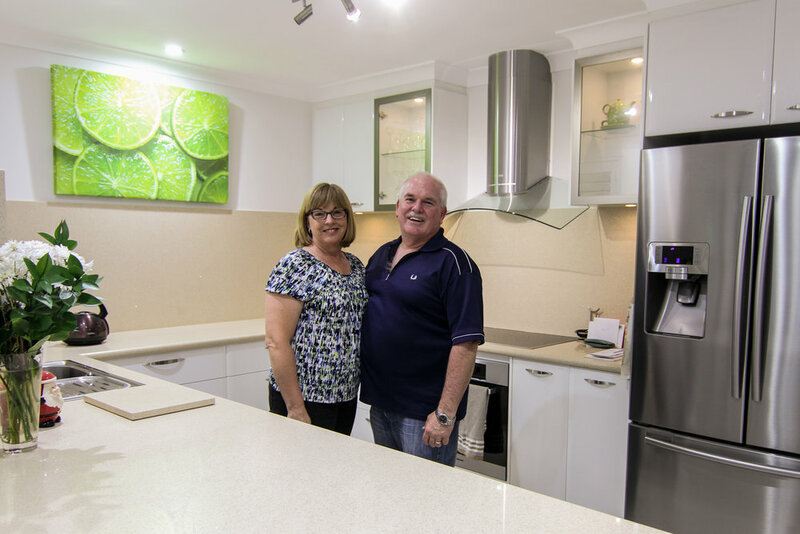 Our mission here at QN Designs is to help guide you and your family to make the right decisions when renovating your home. We pride ourselves on first educating our clients and share inside information on the industry that we’ve learnt over the past decade. We will guide you through the whole process from material selection, design, installation, and through to completion of your project. A dynamic forward thinking family-owned business with age-old tradition customer service. The QN Designs team will custom design and manufacture your dream kitchen with all the latest space-saving products and innovative modern finishes at an affordable price. QN Designs directly imports natural granite at greatly reduced prices, which in turn enables us to provide our customers with savings that they would not find elsewhere. We have both qualified cabinetmakers and stonemasons in our workshop. So we can design and fabricate your dream kitchen all under one roof and that will in turn save you time and money. Book your free consultation & quote today! Book your appointment with one of our experienced kitchen designers for a consultation at our Malaga Showroom. Thank you! We will be in contact with you shorty. In the meantime, if you have any photos and measurements of your current kitchen or house plans, we would greatly appreciate it if you send this to our email at “info@qndesigns.com.au” so we can get a better serve your needs. Come visit our Malaga or Morley showrooms to have a look at our assortment of materials that are on display to get an idea of what you want in your dream kitchen. Also, have a chat with our design team for a consultation. Our qualified designer will come visit your home to discuss your ideas and inspect the room. At this time they will gather all the information required to assist in the preparation of your design. Our designers will prepare a 3D computer generated design and we will invite you to our showroom to view the designs. At this point we can discuss any ideas you would like to incorporate in your dream kitchen. Once the design is finalised, from our assortment of products on display, you can choose everything from bench top colours to appliances. A fully detailed quote can then be provided. With our trusted team of licensed tradesmen, we will organise and coordinate the dates in preparation for your kitchen renovation to make the process as smooth as possible. 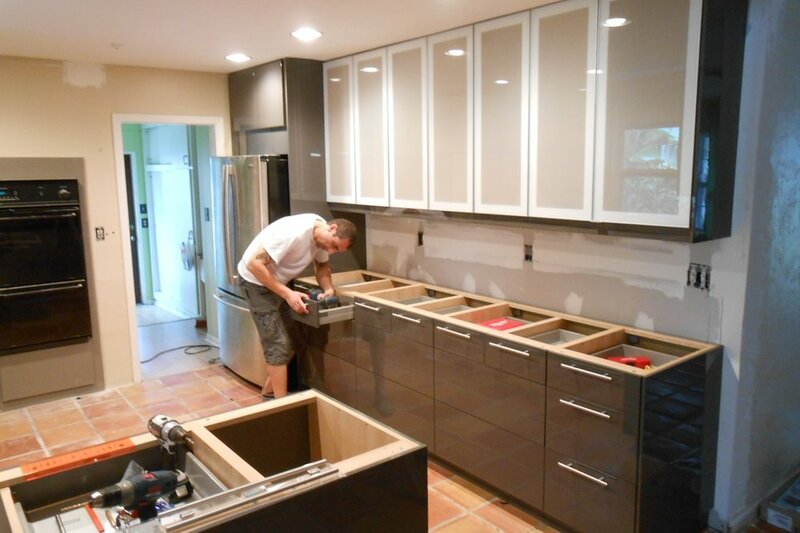 As we do everything in-house, prior to delivery and installation, we will invite you to inspect your cabinets and bench tops to ensure you are satisfied. The installation process will take 1-2 weeks. This will include removal of the old kitchen, works from licensed electricians to plumbers, and of course the installation of your new kitchen. Your dream kitchen is finally complete and the process gone smoothly. As we want you to join our group of 1000+ happy families that has trusted QN Designs, we will work as hard as we can to keep you satisfied even after the completion of the project. We work in partnership with industry leaders such as Silestone, Essastone, and Smartstone to provide our customers with a wide range of options when designing their new kitchen and or bathroom. Our close relationship with suppliers allows us to offer competitive pricing to cater to a budget friendly project that still demands a quality finish. We also work with exclusive high-quality stone for the projects that demand only the best. How a Kitchen Renovation Can Transform Your Lifestyle. You may or may not realize it, but the kitchen holds a large presence in your life and can drastically sway your lifestyle. Maybe the kitchen isn’t so child-friendly and your kids have to bring their plates over to the next room to eat, leaving little interaction between you and them. Maybe the space is so cramped that every time you and your partner want to cook together, the fun mood immediately crumbles when you continuously crash into each other. By Jacky Lu, QN Designs Kitchens. Is Dekton the Perfect Benchtop? Dekton is a culmination of 25 natural minerals which include those that exist in glass, porcelain and quartz to create a surface that integrates the perks and assets of each ingredient. Created by Cosentino. Common Concerns with DIY Laminate Flooring. Let’s discuss that DIY flooring dilemma where we want that timeless natural timber look without the hassle of having to sand it down and varnish it every so often. We want the pure grain visuals without the wait from acclimating the wood in your home. We are available between 9:30 am and 5:00 pm, Monday to Saturday. Contact us on 9249 9492. Alternatively, you can fill in an inquiry form below and we will contact you as soon as possible. 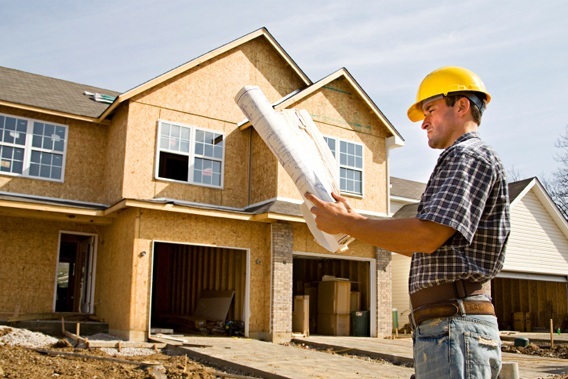 Lets get a start on your next home project! Specific any details or leave any notes that we should know. Thank you for your inquiry. We will be in touch soon! Housing Industry Association Ltd Member #586394.